The 2018 Ram 1500 is a popular light-duty truck that offers drivers performance, comfort, and durability. The truck is one of the top choice among consumers, and if you are interested in learning more about the 2018 model, read a few of its durability features below. The 2018 Ram offers Electronic Stability Control. This system comes with Hill Start Assist, Trailer Sway Control, Rain Brake Support, Ready Alert Brake, and more. In addition, the 2018 model also features four-wheel disc antilock brakes. This feature can help the stop the truck's wheels from locking up during times when you are on slick terrain, such as icy or wet roads. 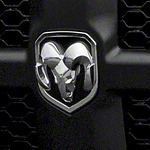 This feature comes standard on every Ram 1500 trim. Be sure to stop by our showroom at The Razzari Auto Centers to learn more about the 2018 Ram 1500.